We have a extensive selection of dusts and debris to draw from, and with years of experience to match, we are able to handle any types of dust effects required. 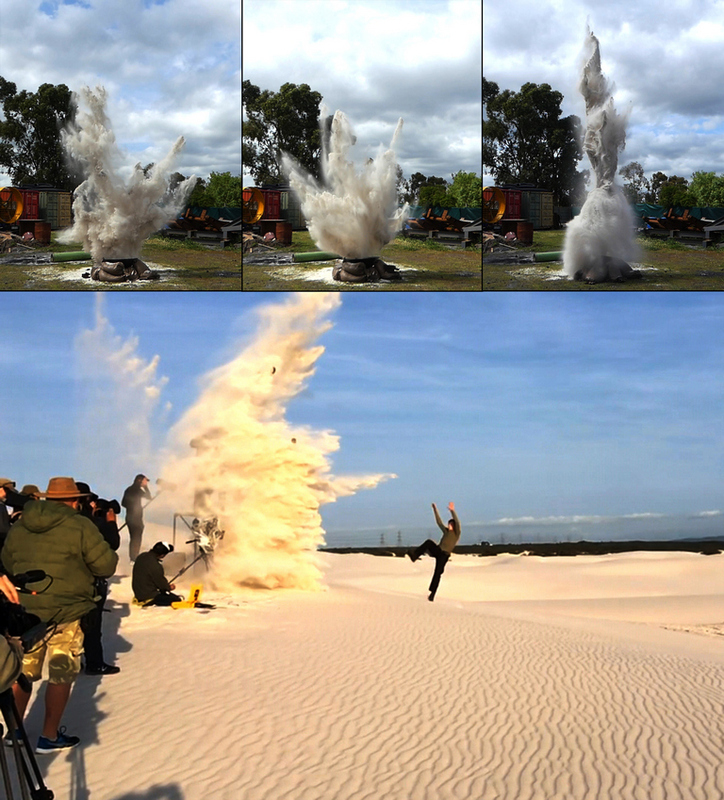 Dust explosions are handled by our qualified pyro technicians when using explosives. Our purpose built Mortar Pots and Martini packages are quick to setup and deliver fantastic results, and our wide range of firing systems allow for complete control of the timing and sequencing of any explosions.